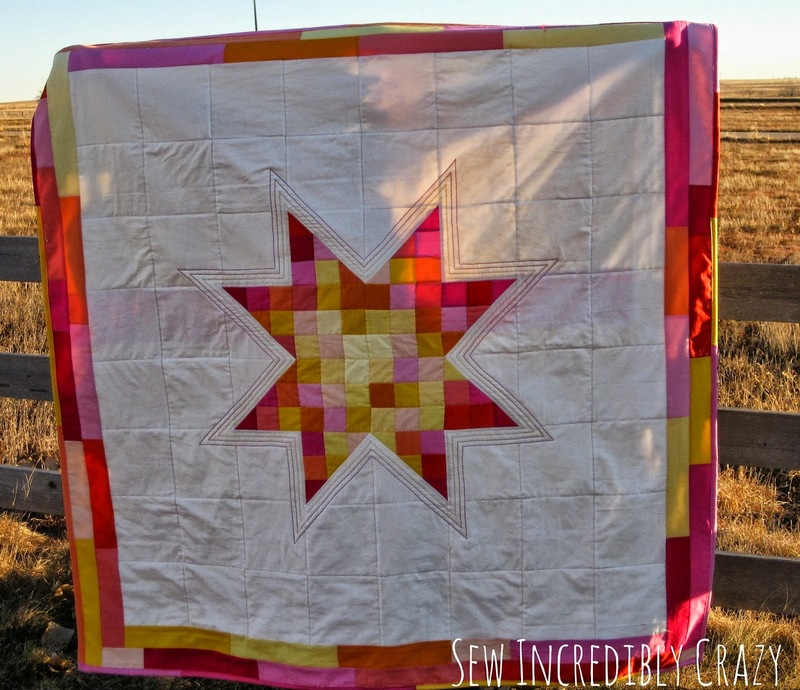 Amy at Sew Incredibly Crazy put a call out for pattern testers for her Scrappy Star. I volunteered right away. This is her pattern and her version of it. 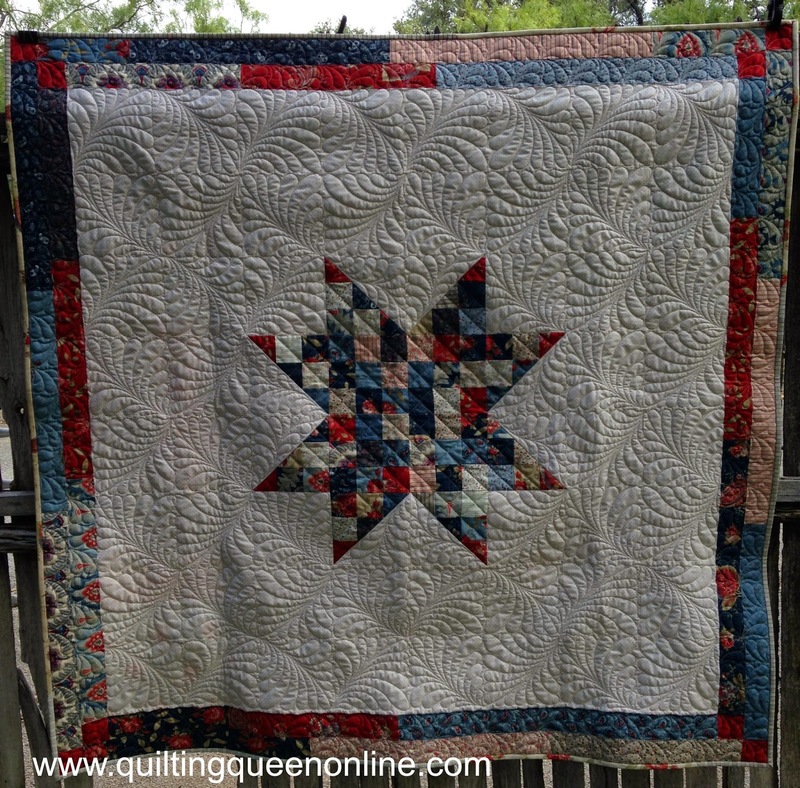 She made it for her project in the Kona Cotton Blog Hop. She now offers the pattern for sale on Craftsy here. Hop on over there and get your pattern. The pattern called for a jelly roll and I just happen to have a .... wait for it.... red, white, and blue one (a Moda Prairie Paisley) that I have had for a while. You don't have to use a jelly roll, you can use 2 1/2" strips if you'd rather. 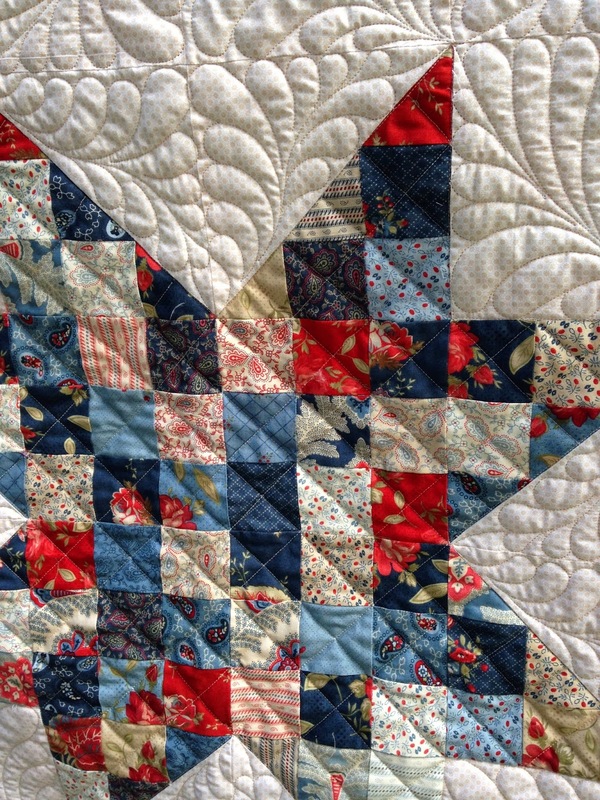 Amy's pattern was very well written and quick and easy to make. 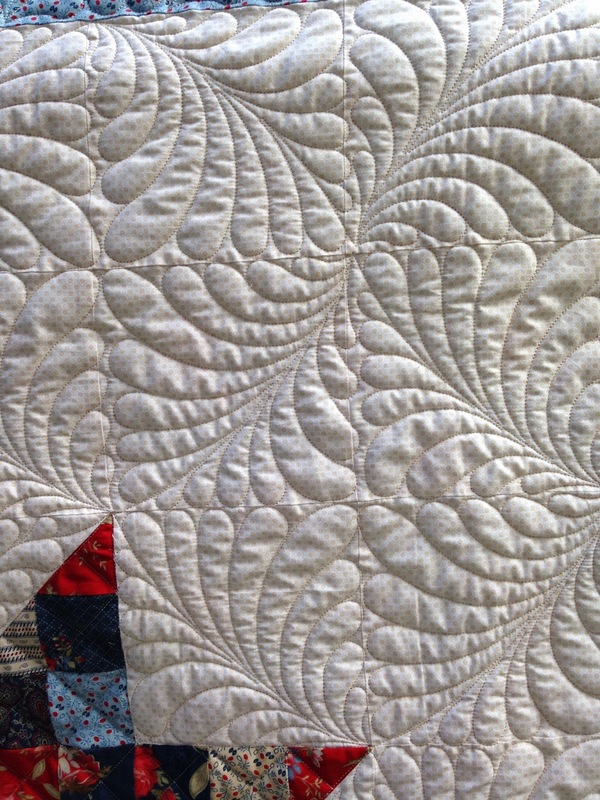 The wide open spaces lend themselves to some creative quilting. 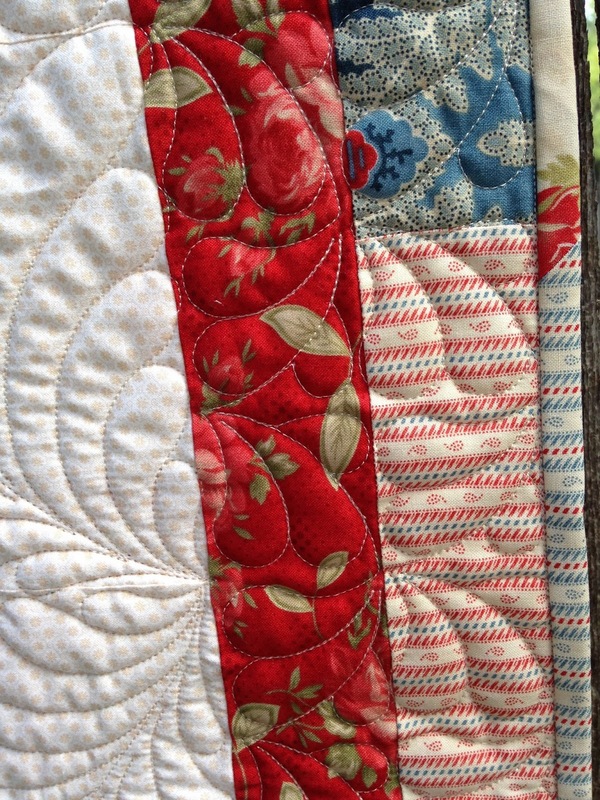 I had plenty of strips left to make a scrappy binding too.